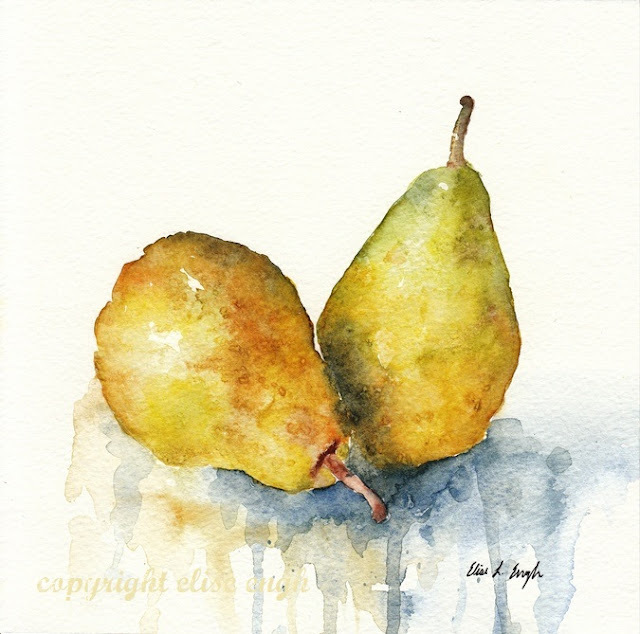 I painted another version of pears, this time using some Epsom salt to get more texture. I love that look! The painting began as an 8x10, but I didn't exactly plan the composition really well. For some reason, the 8x10 version looks a little funny to me. So I started messing around with the cropping on the computer and I can't decide which I like best. hmmm... the drips on the bottom are so nice it is a shame to crop them out. I like the one of top best! I like the 8x8 the best! I agree with the ladies. The 8x8 is the best. Ummm... these pears made me hungry for real pears :) one of my favourite fruits.. Yes, I also love the drips, but the 8x8 looks the most balanced. 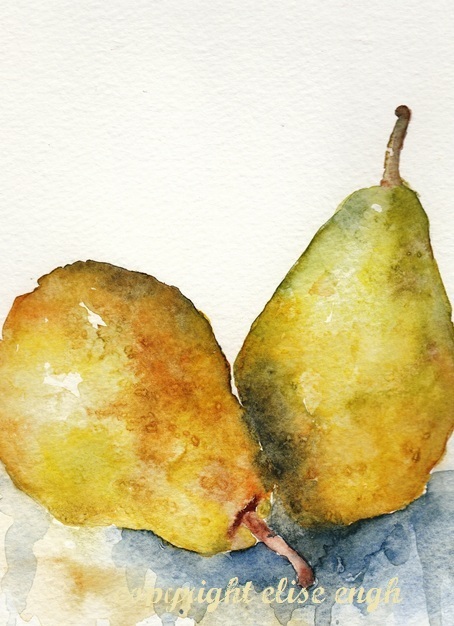 Beautiful pears! I like the bottom one, because it focuses your attention on the subject at hand, the pears. While they all have their good points, the top one looks like they're sitting on a pedestal, which is odd. The drips are interesting, but confusing as a ground for the pears to rest on. They need to rest on something flat, so they're not floating. The long drips pull your eye down, away from the pears, and leave you wondering what surface they're on. 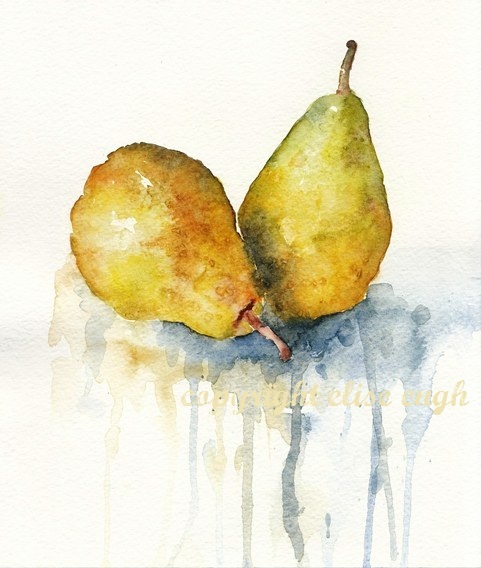 The middle one is a little better, but the bottom one lets you focus on the voluptuousness of the pears and the interesting interplay of shapes and lovely coloring. Really love these. Such talent!